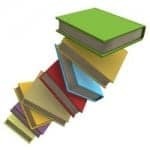 By Peter Anderson Leave a Comment - The content of this website often contains affiliate links and I may be compensated if you buy through those links (at no cost to you!). Learn more about how we make money. Last edited November 19, 2018 . Over the years when shopping online I've found that a good deal of the time you can find a discount on the things you're buying. Almost always there are coupon codes to be used, sales to be taken advantage of, or lower prices to be found at alternate sites. The only problem with finding the discounts online is that it can be time consuming. First, you have to figure out where the item you're looking for is available at the lowest price. Then you have to search around trying to find coupon codes for further discounts. Finally, you have to figure out if there are cash back deals available for the store that you can take advantage of. When it all comes down to it, it's usually worth the time to get a lower price, but what if there was an easier way? This week I discovered a new site service that will help you to find discounts and cash back, with little to no effort on your part. It's called Honey. Let's take a look. 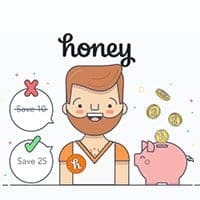 The idea behind Honey is to help people to save money on their online purchases, with little to no effort on their part. So how does it work? It's pretty simple. First, you sign up for the site. Sign up through our Honey link here. You can use your facebook account or email address to sign up. Second, you install the Honey browser extension. To get all the best features of the plugin the Chrome extension is best and has all the functionality built in. Third, you shop online as you normally would. When you add an item to your cart, and begin the checkout process, Honey will pop a little dialog asking if you want to find savings. When you click the button it will search available coupon codes and attempt to apply them for you to your cart. When it is complete it will apply the best possible coupon code to your cart and you're all set to go! After signing up for the site I decided to give Honey a try, to see if it actually does what it promises to do. I went to one of my favorite sites for buying sports gear, Fanatics.com. I went through and found a Minnesota Vikings jersey that I had been eyeing, and added it to my cart. I went through to the checkout page. A small “Find Savings!” dialog box popped up. I clicked on the button, and then a lightbox popped up on my screen showing Honey going through the process of applying and testing a multitude of coupon codes, trying to find the one that gave the best savings. When it was complete, Honey had found a coupon for $5 off of my order, bringing the total to $99.98. It applied the coupon to my cart and gave me a report of what my savings were. When I went through and checked, I saw that there were several coupons available that would give me free shipping on my order. Those coupons would have saved me $4.99 on shipping, and were not applied since the coupon code that was applied saved me a penny more, $5. There were other coupons as well that had just expired and were no longer active that were not applied. I checked around as I normally would outside of Honey using sites like Retailmenot, Fatwallet and others, and I wasn't able to find a better deal than the one Honey had applied to my cart. So when it comes down to it, I think Honey did a pretty good job – and saved me some time in the process. Another cool functionality that Honey has is to find you the best prices when shopping on Amazon. It often doesn't occur to me to make sure the deal I'm getting on something is the best deal. Honey now does that for you. 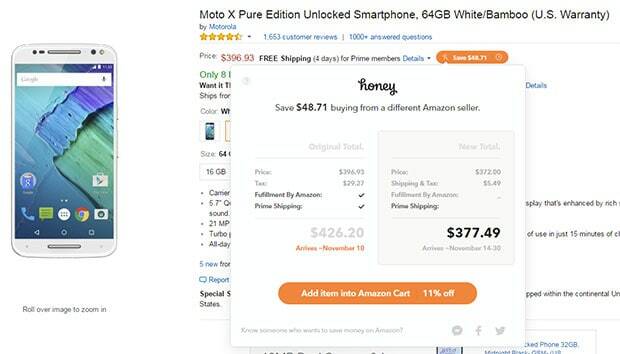 When you're on an item's detail page on Amazon Honey will insert a button to the right of the item's price, telling you whether or not the buyer you're buying from has the best deal. If not, it will tell you can save $X dollar amount by buying from a different seller. When you click on the button it will show you a breakdown of how much you can save, as well as giving you a button to click to buy the item from a different seller. Easy peasy. In the example above it shows that I could save almost $50 just by buying from a different seller and being OK with the item arriving a few days slower. You can also view a price history for most items. Just click on the button to view the price history and you can see if the item regularly goes on sale, or if it is currently priced high or low. Another feature that Honey recently added for Amazon was what they call the “Droplist”. 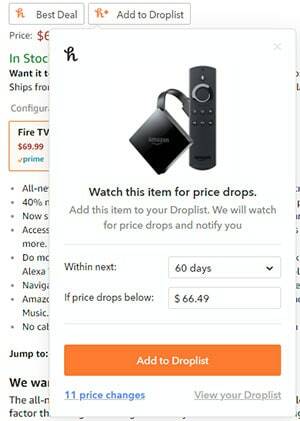 When you're shopping on Amazon you can choose to add an item to your account's Droplist, and when the item drops in price (you can specify a price to watch for), Honey will email you with details about the price drop. You can then choose to buy the item at the reduced price. This feature is extremely nice to have and I've already used it to save a nice chunk of money personally. For example, we recently decided to buy a baby monitor since our little girl is going to be born soon. I found just the one that we wanted on Amazon as a lightning deal, saving $40 off the price. I showed the item to my wife, but by the time we decided to purchase it, the deal was already gone. Instead of getting upset I just added the item to my Droplist, knowing that some items will become deals of the day more than once, or often be reduced in price within a few days. Looking at my saved item in my Honey Droplist for the baby monitor, the price history for this item showed that it regularly dropped in price to $99 from $139.99. To get a lower price I would likely just have to wait a few days. Here we are a few days later, and today I got an email from Honey telling me that the baby monitor had dropped in price by $40 again. I quickly went to Amazon added the item to my cart for $99.99 and purchased it. $40 saved! 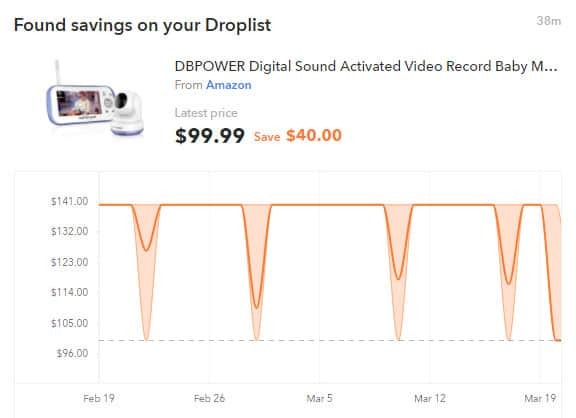 The price history button on Amazon is extremely helpful as you can see how often the price on certain items fluctuates, and can give you an idea of if you're getting a decent deal or not. It can also tell you if an item rarely goes on sale and you should just buy it now, or if you should wait. Definitely worth checking out. One thing that I always tell people to do is to try and find cash back when you're shopping online, typically through sites like Ebates, Swagbucks and others. Honey has a cash back component to it in addition to the coupon code search functionality. It's called HoneyGold. When on the Honey site you can click on the “HoneyGold” link at the top of the page, and it will take you to a listing of stores that offer cash back bonuses – or HoneyGold as Honey calls it. Stores like Target, Macy's, Groupon, Walmart and more are listed as stores that give cash back. If we earn a commission when you discover a sale or coupon through Honey, we split that with you in the form of a Cash Bonus. It's our way of saying “Thanks, you're the best!” Because you are. The least we can do is pay you to shop. ? The Cash Bonus you receive will be a randomized amount, anywhere from 1–100% of the commission back from your purchase. May the odds forever be in your favor! So you'll be earning a percentage of whatever Honey's commission is for your shopping through their affiliate link. You might be able to get more cash back by using another cash back site, but remember you can't stack earnings with Honey and another cash back site. A hack that I like to use when using Honey, in order to triple my savings is to use Honey in conjunction with two other providers, Ebates/Swagbucks and Gift Card Granny. Activate Swagbucks or Ebates cash back: First, you go to the website you're looking to save money on. Activate your cash back via your browser extension's cash back button. Usually it'll pop up automatically if you have it installed and ask you to activate. Choose the cash back site of your choice, Honey has cash back of sorts, but usually it's better through the other sites. 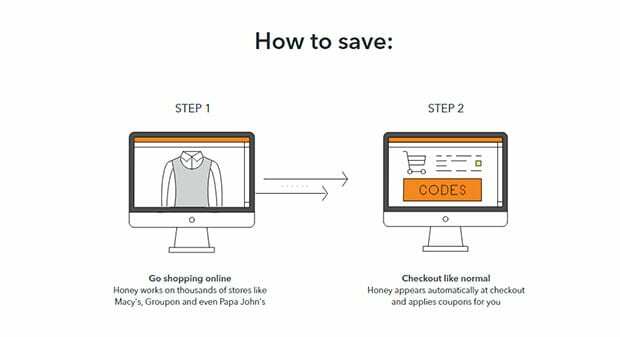 Use Honey to get a coupon code: After you find the item you wanted to buy, add it to your cart and begin the checkout process. 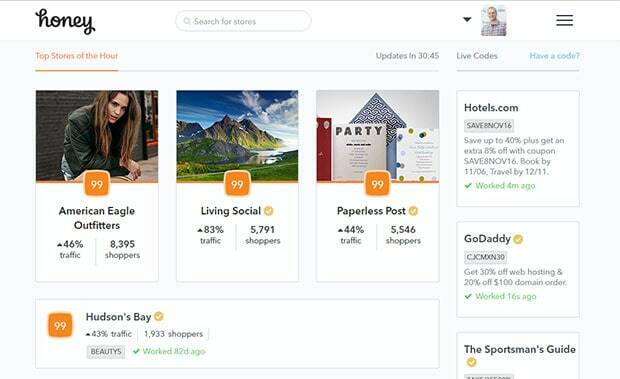 On the checkout page where they have a space for coupon codes, use the Honey browser extension to search for available coupon codes, to save you more money! Buy a discounted gift card from Gift Card Granny: After you find out what your total is after including the Honey coupon code, buy a gift card at Gift Card Granny to cover the cost. You can often find gift cards for popular retailers at a big discount. For example, a $100 gift card for $85. Purchase the gift card and use it when checking out. When you do these three things, you'll save using cash back, by using a Honey coupon code, and by getting a discount on a gift card to pay for your order. Triple the savings! Shopping online can be great because there are often a ton of opportunities to find discounts, cash back and coupon code savings. The only problem is that it can be time consuming to find the right combination of coupon codes, cash back and the lowest priced items. Honey is the solution to this problem. It helps you to find the best possible deal on the items that you're buying by applying the best coupon codes, giving you cash back, and when available on Amazon – pointing out the best price on the item you're buying. In the short time I've been using it I've been able to save quite a bit of time, and a good amount of money – automatically – without a lot of searching for coupon codes and cash back links. I'd definitely recommend checking it out. It's a free site, and you can only end up saving money! Get Your Free Honey Account!